Hello steemians, hope all of are doing fine! Lately there have been so many talks about helping steem get listed on netcoins. 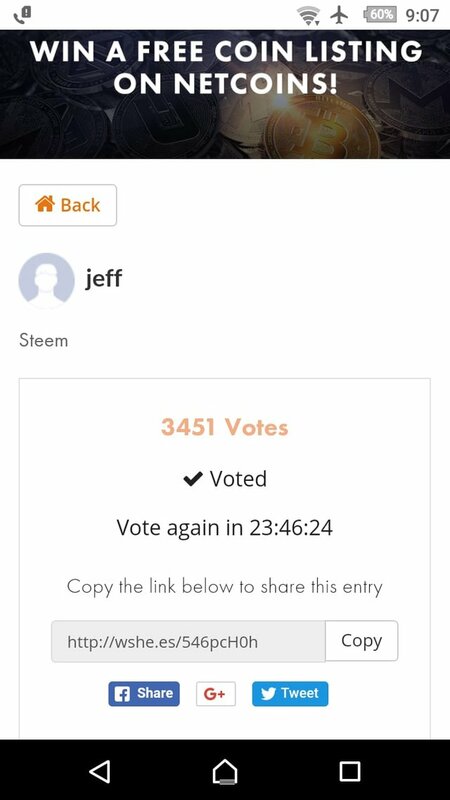 Steem has around 1.2M users and not even 1% of the total users have voted for steem. 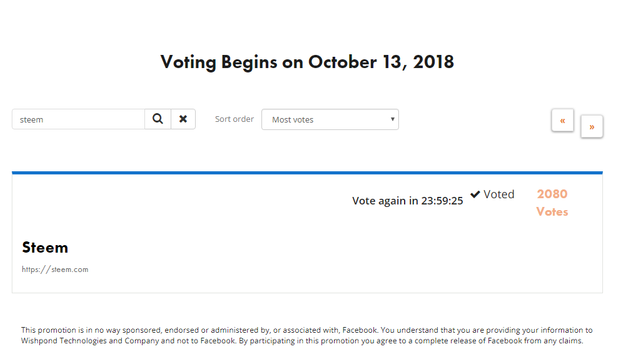 If you care about your stake and want to see steem moon, you should vote now as there are still a few days left. Netcoins is a Canada based Blockchain company which has helped thousands of customers buy and sell Bitcoin. Their Virtual Bitcoin ATM software provides retailers and individual professionals an awesome way to sell Bitcoin in store. Best of all? It's free to become a reseller! 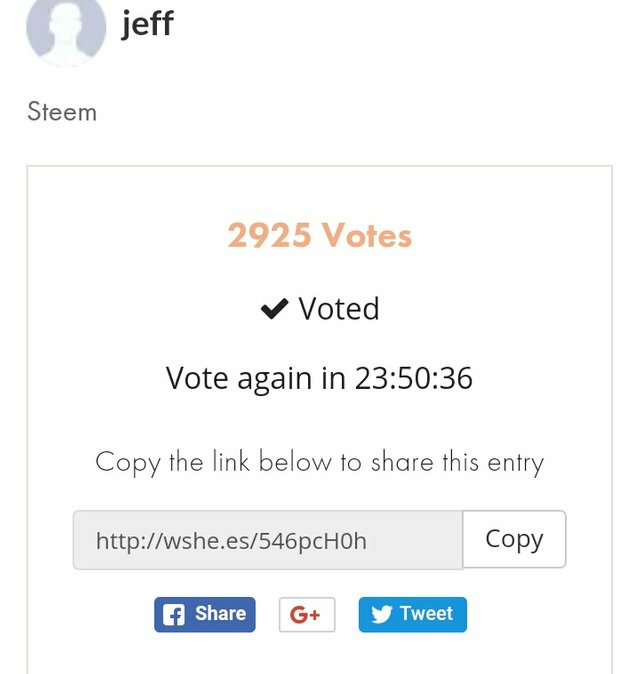 That's it, you have successfully voted in favour of steem. Remember you can vote daily, there are still 3 days left so you can cast 3 more votes. You can also vote multiple times with different emails, just use a new browser every time you vote or simply use a vpn to vote multiple times. Right now steem is ranked number 3 with 2798 votes. Vote for it and upload the screenshot in the comments to get a 100% upvote from me. It is not huge but it can be encouraging. (Your vote has to be higher than 2798)Moreover you can get upvote from @oracle-d if you vote and post about it. Done. Was around 3.5K votes strong when I re voted for the 2nd time today. Being 3rd at the list is the start, Top ranking is what we deserve. Being a home of more than 1.0 million people I hope that we will attain the top position. Thanks @syedumair for doing great work and giving awareness to steemian for the promotion of this community. Your efforts are laudable. It's time to do action. I already voted it . Are you? All the best. The screenshot is quite old, though. But we definitely need several tons of upvotes to get on the #1 place. It's really surprising to see that we're still under Place 3. We should have reached #1 spot already. Guys, action speaks louder than words. Prove that you love STEEM and you'll be loved by it. 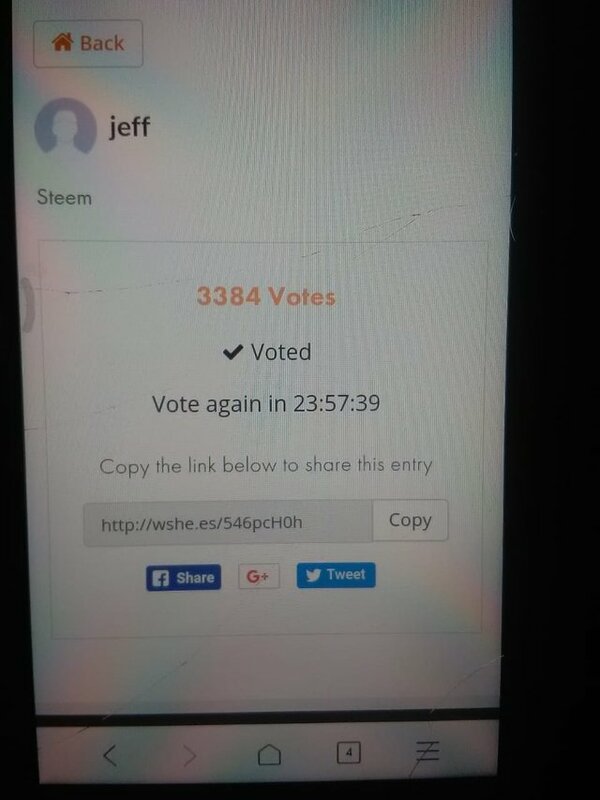 Yes the screenshot is old, it's the first time I voted for steem. I have voted multiple times after that using all my emails. It is really hard to believe that not even 1% of the users have voted. The lesser known coins are ranked above steem. We are a community of 1.2 million people look how many votes have been casted. Congratulations! This post has been upvoted from the communal account, @minnowsupport, by Syed Umair from the Minnow Support Project. It's a witness project run by aggroed, ausbitbank, teamsteem, someguy123, neoxian, followbtcnews, and netuoso. The goal is to help Steemit grow by supporting Minnows. Please find us at the Peace, Abundance, and Liberty Network (PALnet) Discord Channel. It's a completely public and open space to all members of the Steemit community who voluntarily choose to be there. Your UA account score is currently 4.402 which ranks you at #2148 across all Steem accounts. Your rank has improved 3 places in the last three days (old rank 2151). In our last Algorithmic Curation Round, consisting of 516 contributions, your post is ranked at #87.